In a terrifying study of common children’s toys, researchers discovered a toxic chemical that has been banned in the United States since decades ago. A report commissioned by the Environmental Working Group (EWG) Action Fund found deadly asbestos in four brands of coloring crayons and two kids’ crime scene fingerprint kids. In a world where parents work hard to ensure the health and safety of their children, it’s unsettling to think that a little one’s own toys and art tools could make them sick or even kill them. The tests were conducted by two government-certified laboratories, each using state-of-the-art equipment. EWG’s report on the findings points out that even trace exposure to asbestos has been found to cause cancer and has been linked to other fatal lung diseases. Clearly, exposure for children is more dangerous than for adults, due to the concentration of chemicals in their little bodies. In all, 28 boxes of children’s crayons were tested and four were found to contain the deadly chemical. Several of the crayons checked were marketed using popular cartoon characters like Mickey Mouse, Teenage Mutant Ninja Turtles, and Power Rangers. 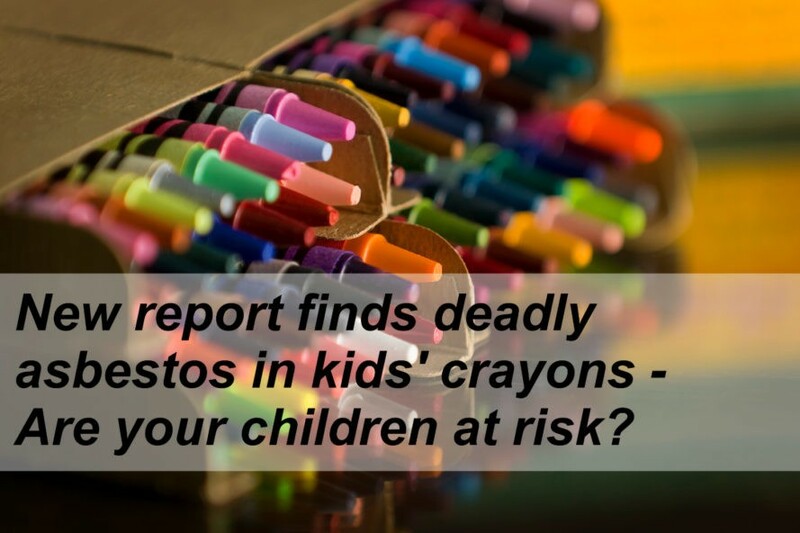 Contaminated crayons would release microscopic asbestos fibers as children use them, and anyone with kids understands what level of exposure that might lead to. Crayola reports that the average child goes through 730 crayons before their 10th birthday. The test also included 21 play crime scene fingerprint kits, and two of those were discovered to be contaminated with asbestos as well. In those kits, asbestos could be inhaled by either kids or adults, posing an even greater threat as the fibers would enter the lungs directly. All of the brands found to contain asbestos were, according to the product packaging, manufactured in China and imported to the USA. To reduce the likelihood that asbestos and other toxic chemicals find their way into your children’s hands, reach for toys and art supplies made in the USA or other countries with stringent production regulations. At this time, it’s not known which companies will bear the responsibility for the presence of this toxic chemical, but ongoing investigations will reveal more information soon. 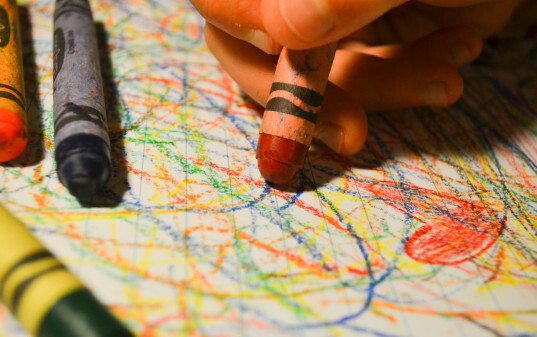 Four brands of crayons found to contain asbestos.